Beautiful unit, designer decorated! Great rates and location! Luxury at its finest with golf cart. Beautifully and professionally decorated and remodeled Sycamore plan; 3 BR + 3 Bath. 3rd BR converted to Den w/ Queen wallbed. King Beds in Bedrooms. Restoration Hardware Custom Furniture; Granite Countertops; Professionally Decorated; Computer w/ high speed internet and Wi-Fi; HD Plasma in Master Bedroom; Central Sound system; large patio with built in BBQ, high-end furniture and market umbrellas for comfortable outside dining and enjoyment. Computer and wireless internet available for use. This is our personal second home and has been maintained and cared for accordingly. Come enjoy one of Palm Valley's finest. Very well appointed! Clean and spacious. We stayed at this lovely condo for a week over New Years. The bedrooms and bathrooms were clean and very comfortable. It felt like home! The kitchen had it all. Platters and serving dishes for entertaining and it opens up to a deck overlooking the golf course. Amazing way to wake up with the sun on the patio and a coffee in hand. Our family of four loved this condo. The owners were so kind and accommodated our need to change the dates of our stay. Great communication with them. We would definitely stay at this condo again!! We had excellent stay at your place. It was just as described beautiful and nicely decorated. The place was close to all amenities with easy access to the venue that we were visiting. My wife loved the how the place was decorated and really enjoyed having the indoor laundry room and overall property layout. Thank you for your quick response to our inquiries and clear instructions on arrival and departure. We had an excellent overall experience and would definitely recommend your place to anyone visiting the palm desert area. Excellent stay and excellent place. I would highly recommend. Great home with great amenities! We really enjoyed our time in palm desert at this home. Thank you very much for your kind words. We are very happy you enjoyed your stay! Nicely decorated, roomy & centrally located. This was our third year renting this beautiful home. 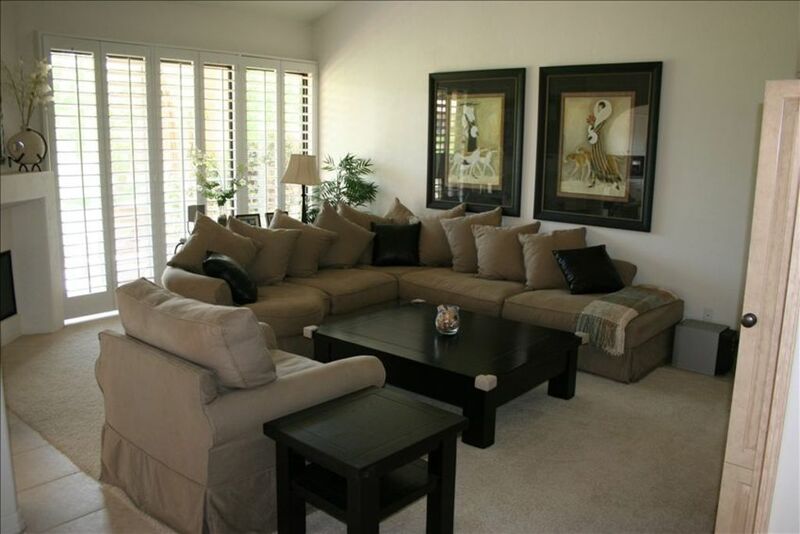 Palm Valley is a wonderful community and this home is in a great location. Two pools are just steps away. We entertain while in the desert and Natalie has a wonderfully stocked kitchen with beautiful serving pieces. The dining table comfortably sits 8. The beds are comfortable and there is an abundance of linens. Natalie is so great to work with and very timely in responding to and questions we might have. The unit is very clean which is important to us. We would highly recommend this unit and give it an excellent rating.